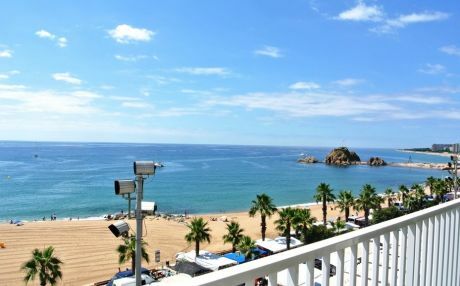 Blanes is a town south of the province of Girona known as "the portal of the Costa Brava" as it is the first population of this coast and holds the Roca de Sa Palomera. 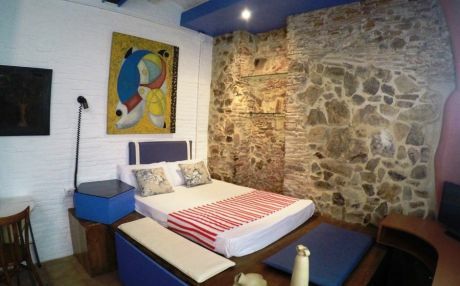 Blanes is a recognized family tourist destination due to its amount of family friendly services and activities. 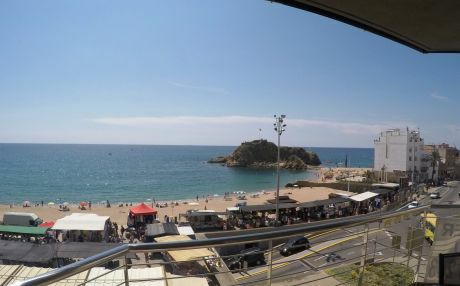 Besides going to the beach and enjoying the sun and the sea, there are many cool things to do in Blanes, from golf, hiking or several activities related to active tourism, such as mountain bike or quad routes, horse riding, kayaking and many more. If you want to spend a fun summer day, then you can go to one of the water parks on the Costa Brava. If you have quieter plans and like botany, Blanes holds Jardín Botánico Marimurtra, which features species of the 5 continents, and Jardines de la Pinya Rosa. If you visit Blanes, one of the must-see monuments is Castell de Sant Joan, from where you can enjoy breathtaking views. Iglesia de Santa María, former palace of the viscounts of Cabrera of the XIV century, is another of the places we recommend visiting within the historic center. In Blanes, there is a great culinary tradition. Here the Mediterranean diet is complemented by a great variety of fresh fish and fresh vegetables in dishes that have been cooked for centuries. One of the most recognized dishes of this town are the tasty Gambas de Blanes. One of the most famous recipes is the "suquet de peix de sa palomera" a tasty stew of fish. The most famous dessert is the "xuxo" a dough filled with delicious pastry cream coated in sugar. Also, wine is always present in the tables of Blanes, in fact, Reserva Mont-ferrant offers a delicious home-made wine. Around 150 restaurants have been counted, among which you will find all kinds of cuisine, from traditional, modern, oriental, Italian to international, as well amenities for all budgets, from beach bars to elegant restaurants offering signature cuisine. It is also famous for the beauty of its beaches of crystal clear water. Despite being a major tourist destination, the population has managed to keep the charm of a typical Mediterranean fishing village. You can see how the population of Blanes looked like decades ago. 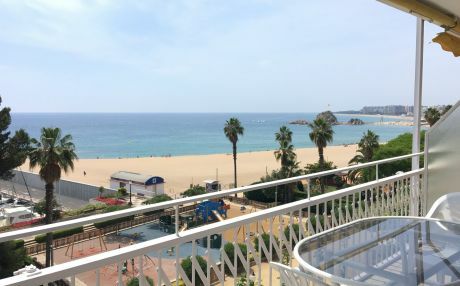 In Blanes, you will find 5 wonderful beaches along its coast: Playa de Blanes, which is located in center of the population, is the busiest one. Playa de s'Abanell, located on the left bank of San Palomera, is the largest of the population. It has a sandbank of 3100m in length, offers very good services and is usually full of visitors. 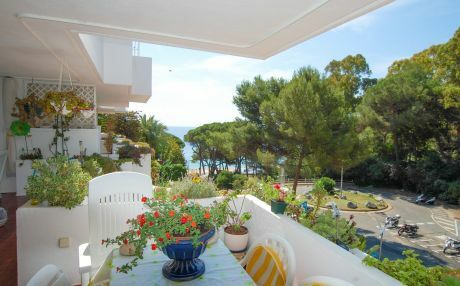 Playa de Sant Francesc, surrounded by vegetation, is a small and quiet beach that is usually visited by families. Playa Santa Anna, a small cove near the port of Blanes, is also known as Playa del Capellans because it is located under a convent. Cala Treumal is the smallest cove of all and is located at the north, but it’s not less important since it is in Pinya Rosa, denominated Place of National Interest. 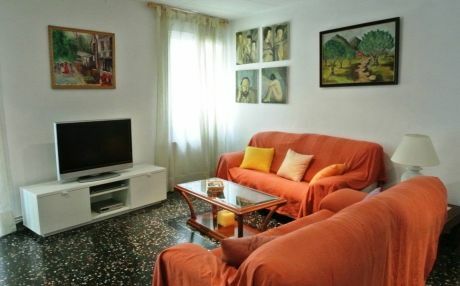 It is located next to the neighboring town of Lloret de Mar. 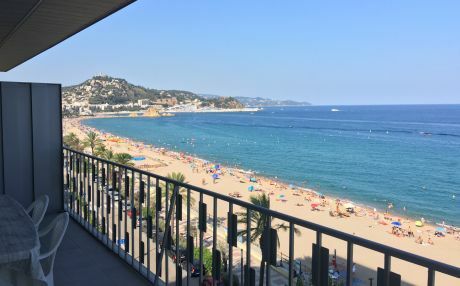 Blanes is located on the southern tip of the Costa Brava and the province of Girona, and since it is an important tourist center, it is a well-connected city. You can get here by land through the roads and highways of the state, from the N-2 or C-32, taking the Blanes detour. 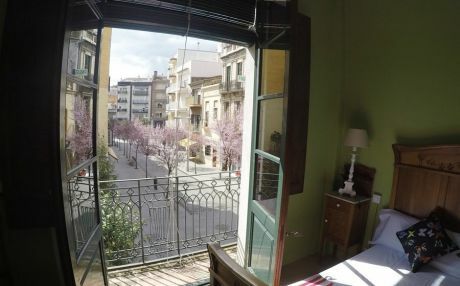 You can also arrive by train, as Blanes has a train station with connections with Barcelona and other nearby towns. There are urban and intercity buses, as well as taxi services you can use in case you do not have your own vehicle. By plane you can do it from the airport of Girona, only 32km, or from the Airport of Barcelona, 85km. 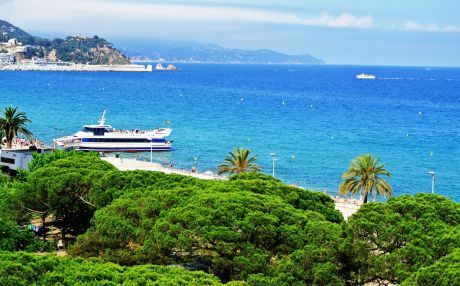 Another option is to arrive by boat, as there are maritime cruises that connect the towns of the Costa Brava, and in case you have your own boat, you can hire a mooring at the Yacht Club. 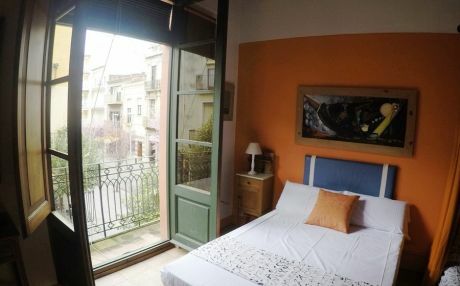 Blanes welcomes thousands of visitors every year, so it has a great infrastructure in terms of accommodation, featuring many hotels of all types, but if you travel in a group or family we recommend you rent a house or apartment in Blanes, as you will have more space and freedom and, most importantly, you will save money. 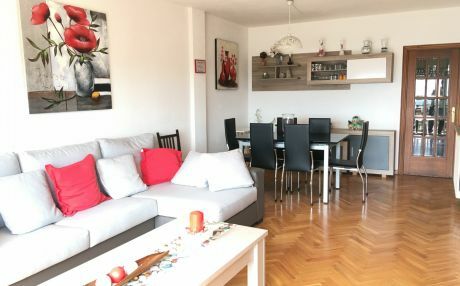 Check our rental apartments offer in Blanes and you will surely find the ideal one for you, an apartment with sea views, a villa with private pool in a quieter area or a house with pool in a residential complex. There is a large range of possibilities!